According to the latest leaks of the iPad mini, the 7.85-inch tablet will come in black and white colours, differentiating itself from the silver anodized aluminum of its bigger brother. The colour scheme gels with the iPhone 5, and could mark territory for Apple as they move away from the single-toned iPad. Inside the device, we see a nano-SIM slot and antennas for 3G/LTE connectivity, so expect the iPad mini to come in both WiFi and cellular-compatible versions, likely for a smaller premium than we’re used to. The Lightning connector input is present as well, which is unsurprising. 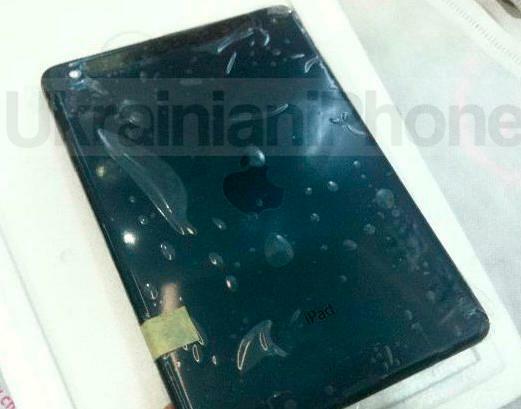 You can see a hole for a rear camera, no flash, and the typical Apple logo with a simple ‘iPad’ insignia etched on the back. The black tone seems darker than the ‘Slate’ colour we are used to on the iPhone 5, though we don’t know what it will look like in the real world.